“Gossip is a serious problem. It is a problem in the home, in the workplace, in the local church and in broader evangelicalism. It is a problem in the blogosphere, in social media, and beyond.” But…”the Bible is concerned less with the words that are spoken and more with the heart and mouth that generate such destruction.” Insightful summary of an insightful book. Interesting to note all 5 gossips spring from a fear that is answered only in the Gospel! As always be with the Lord’s people on the Lord’s day! What will I be when I grow up? Where will I go to college? What type of job will I have? Where will I live? Who will I marry? All of these questions and more were ones I remember asking myself all throughout my teenage years. But amongst all of the questions that I pondered during those years, there was one that I just could not shake…”What is God’s will for my life?”. That question was one that I dwelt on an awful lot. And to be truthful, from time to time I still think about it. 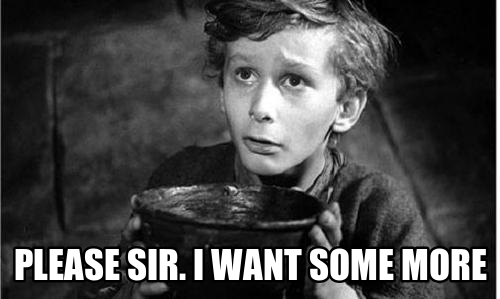 However, I have recently once again realized I am not the only one who has asked or is asking this question. So what is the answer? Well, stick around the next few weeks as we work through this question and flesh out an answer that is both biblical and practical. Before diving headlong into this series, we must first understand three truths: God’s Dominion, Man’s Dependence, and Our Desire. 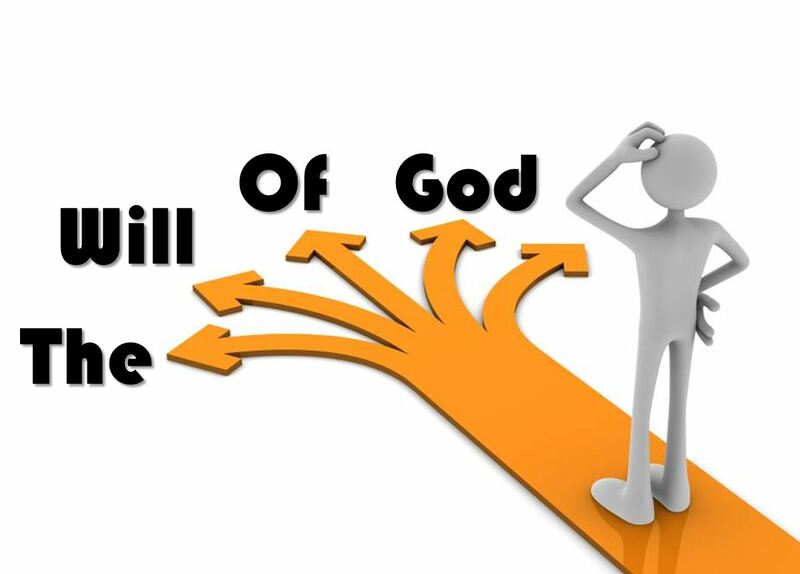 When truly asking God about His will for our lives, it is important to stop and remember whose will it is…God’s. And by definition God is the ultimate authority and ruler of the world (Job 38:4-7); He is the One who has Dominion. God possesses dominion first and foremost because He is the Creator. “In the beginning God created the heavens and the earth” (Genesis 1:1). As Creator He made everything good (Genesis 1:31). Being the good Creator means that God is also the Sovereign over all of His creation. In other words, God owns everything and needs nothing (Psalm 50:10-12). God is the only eternal, everlasting, and independent being of the universe. If God is the independent Creator, that means man lives in constant dependence. We live in dependence upon God for our existence. God is the one who made and gave authority to man (Genesis 1:26-27). In other words, the life we have and the authority we have is from God. However, we are not perfect supervisors. We only get to chapter 3 in Genesis before man messes up the responsibility he has been given. And as a result of that sin, sin and death spread to all mankind (Romans 3:10-18, 23). That is right–every homo sapien that has, is, or ever will walk the face of the planet is a sinner deserving death (Romans 6:23). Therefore, the fact that we live and have being simply shows the dependence we have on God each and every day (Acts 17:25, 28). In light of this, there is a great chasm to be spanned between our desires and God’s. God’s desire is for good in all of His creation, but our desire is always for something other than God’s goodness. This creates the first problem when pursuing and wishing to know God’s will for our lives. Truth be told, our desires do not match the desires of God. Therefore, we must cultivate in our hearts the desire to be cooperative and to be submissive in order to know God’s will. Because we are sinful at our core, our desire is to do things our own way; however, Jesus teaches us that our will and desire must be for God’s will to be done (Matthew 6:8-10). In order for us to desire to be cooperative with God and His will, we must be submissive. The only way we can truly pursue submission is to recognize that it is God who made us and teaches us, not the other way around (Isaiah 40:13-14). So before seeing God’s will for our lives, we must recognize God’s Dominion, Our Dependence, and where Our Desire must be. But the problem is we cannot desire cooperation and submission to God on our own. That is why God had to create a way to transform our hearts and desires. The only way He could do that was to eradicate the sinful way we relate to Him. In other words, a payment had to be made for our sin. But the only acceptable sacrifice was perfection. (Insert, climactic music here) Bad news: no human being could be a perfect sacrifice, we all have sinned. So what did God do? He paid the penalty Himself, by sending His Son Jesus Christ in our place (2 Corinthians 5:21; John 3:16-18; Philippians 2:6-8). It is only when we see that God has Dominion, we are utterly Dependent, and that our Desire must match His that we can begin to know and pursue His will for our lives. Stay tuned for the continuation of this series next week! This week I have been trying to catch as much of a controversial yet instructional conference. It is the Strange Fire Conference being held at Grace Community Church in Sun Valley, California. This is a local church known best for its leading pastor, John MacArthur. The conference has been addressing the charismatic movement and theology. Feel free to check it out yourself and as always I would love to interact with you about it. If you missed any or all of it you can catch up over at Grace to You! Be with the Lord’s people on the Lord’s day. 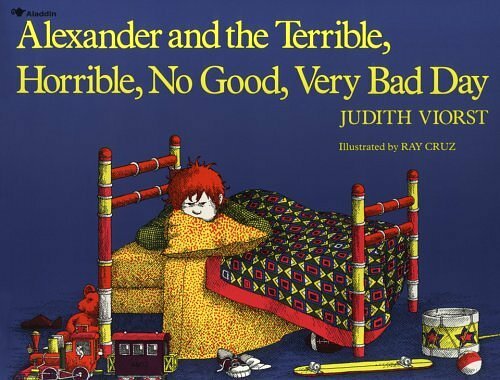 Have you ever read “Alexander and the Terrible, Horrible, No Good, Very Bad Day”? It is quite an interesting child’s story. Little Alexander just cannot seem to cut a break. Everything he hates seems to happen in one day. Everything that could go wrong, does go wrong. No matter what the circumstances, Alexander seems to have all the bad luck in the world in just one day. Ever feel like Alexander? It seems like if something could go wrong, it will and does. But how often do we get into a funk thinking everyday is like that, no matter what the circumstances? Often times we fail to see the blessings simply because of a few unexpected changes. This is the truth Jonah reveals to us in the final chapter of the story. A man whose job (being the prophet that he was) depended on his obedience to God’s call and message, Jonah seemed to respond in all the wrong ways. God gives him a message to preach to Nineveh and what does he do? He runs the other way. He is given an opportunity to tell about the God of the universe and what does He do? He sleeps on the bottom of the boat. Over and over again, Jonah shows that Resistance is Futile. Two weeks ago we saw Jonah exemplify that God is still in the business of rescuing, even if the Rescue is Fishy! Last week we saw that with God Repentance is Favored! Today we will see that despite the positive results Jonah experiences (over 1/2 million people repent and believe in God), Jonah’s Reaction is Flawed! We will see this through Jonah’s Attitude and Jehovah’s Actions. God’s plan for Jonah caused him to be quite possibly the greatest evangelist of all time (Jonah 3:10). Jonah spoke a mere five words and an estimated half million people repented of their sin and came to believe in God. So we would expect Jonah to have a joyful, worshipful attitude, but that is not the case. Instead of being full of joy and worship, Jonah’s attitude is full of bitterness and anger. He is displeased. Jonah sees what God has done, in relenting of disaster, as a great evil (4:1). Jonah thinks what God has done is wrong. He is showing the anger of a mortal man (James 1:19-20). It is here that Jonah reveals his heart attitude and why he is so angry. In a prayer to God, Jonah tells the reason why he originally ran from God…because he knew God’s character (4:2). Jonah knew God would be gracious, merciful, patient, loving, and forgiving to the Ninevehites, people who are Jonah’s sworn enemies. And the prophet does not like it. Jonah’s attitude is like mine was when I was a child at Christmas. I was so excited to get to Grandma and Grandpa’s house on Christmas day. I knew there would be great gifts for me. 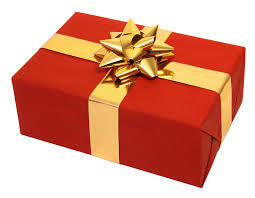 When I got there I could not wait to open my gift. With all the family around, I sought mine out, began to tear it open and was thrilled to begin to play with it. However, my attitude quickly change a few minutes later, when I realized my cousin, who was only two months older than I, received a gift from Grandma and Grandpa as well. “What gives?” I thought. I believed that Christmas, and specifically Grandma and Grandpa giving gifts, was exclusive to me. I did not like it that my grandparents generosity and grace extended to anyone but myself. That is the attitude of Jonah here. He cannot believe that God would be gracious, merciful, and forgiving to his enemy. Jonah wants God to be gracious, merciful, loving, and forgiving, but he does not want God to be that all the time to all people. Jonah throws a pity party similar to Elijah after he killed the prophets of Baal. Elijah questioned if God had done all He had through Elijah just to see him on his own, secluded, and lonely as a righteous prophet (1 Kings 19). But God reminds Elijah, as he will Jonah shortly, that His grace falls on the just and the unjust (Matthew 5:45). While Jonah’s attitude was misguided, it is through Jehovah’s actions that we will see Jonah’s Reaction is Flawed. Jonah because of his anger, self-pity, and selfishness, he goes out from the city (and away from God) to continue pouting (4:5). But even when the prophet “runs” from God a second time here, what does God do? He appoints a plant to relieve Jonah’s discomfort due to the heat (4:6). Jehovah is showing Jonah grace and mercy despite his sinful attitude (Psalm 103:10). But God does not stop there. Next He appoints a worm to eat the plant and an east wind to teach Jonah a lesson (4:8). God is showing Jonah that the prophet is more content with creature comforts than with the Creator’s control. And even at this point we see the prophet’s Reaction is still Flawed. Jonah responds to God’s blessing in the plant and discipline in the worm and wind by requesting to die one more time (4:8). 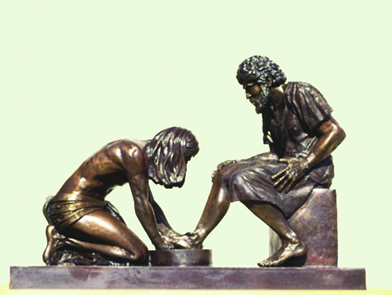 However, Jehovah reveals His character once again by patiently dealing with Jonah. He simply asks Jonah a rhetorical question to get the prophet thinking (4:9). Then God drives home the lesson. He shows Jonah patience, love, forgiveness and grace, not by wiping the complaining prophet out, but by drawing the real life application from the real life illustration (4:10-11). God points out Jonah’s pity for the plant that he did nothing to create or sustain. Then God compares that to His own pity for Nineveh which He did everything to create and sustain. Jehovah’s point is this: Jonah cared more about a plant, than he did for people! Jehovah’s actions show mercy, grace, patience, love, and forgiveness unconditionally to all, both a disobedient prophet and a disobedient people. While Jonah’s Reaction is Flawed demonstrated by his attitude, Jehovah’s actions are perfect. His grace, mercy, love, and forgiveness are all exhibited in His dealing with Jonah and Nineveh. And these attributes of God are exhibited perfectly years later on a hill called Calvary. 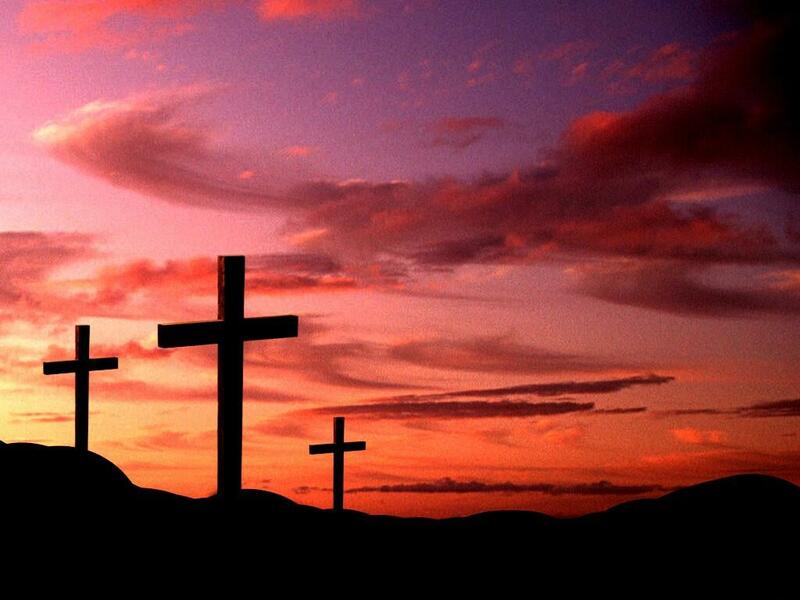 It is at this hill and on a cross that God mostly clearly reveals His mercy, grace, love, patience, and forgiveness. And He does so not just for prophets and priests, but for the enemies of God (Romans 5:8). Have you recognized this love, grace, mercy, and forgiveness? More importantly, have you recognized yourself as the enemy of God in need of a great Savior who loves and forgives you? Or are you like Jonah, whose Reaction is Flawed? Are you grateful when God is gracious, merciful, and loving with you, but upset when He is with others? Do you realize the mercy God has shown for you a great sinner and desire for others to see that as well? Thanks for joining us for this series on Jonah. In case you missed any part of this series you can find part 1: Resistance is Futile and part 2: Rescue is Fishy and part 3: Repentance is Favored by following the links. Thanks for reading! As always I love to read from my readers! Busyness! – It seems like every conversation I have these days, busyness comes into the mix. “How are you doing today?” Oh, man I am busy! “How are things going with you?” I am busy! Why is it that busyness seems like such a badge we wear proudly? Especially as Christians, we need time to stop, reflect, pray, spend time in the Word, and process what is happening in life. So how can we help each other in this endeavor? Here is a helpful article pleading, “Christians, Protect Each Other from Busyness“. Enjoy! As always, be with the Lord’s people on the Lord’s day! Ever been proven wrong? Well, if you are anything like me, this is more than a daily occurrence. Multiple times a day it seems as though I am told, shown, or it is brought to my attention that I was or am wrong. And truth be told…I hate it. 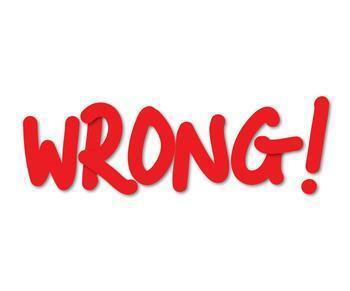 Who likes to be told they are wrong? Who likes it to be brought to their attention that what they thought, said, or did was not right? Not many people enjoy being told they are wrong (if you are this type of person, yippee for you). However, it is not so much what we are wrong about that matters most in life, but how we respond to that revelation. And Jonah is the living example of this truth. A man whose job (being the prophet that he was) depended on his obedience to God’s call and message, Jonah seemed to respond in all the wrong ways. God gave him a message to preach to Nineveh and what does he do? He runs the other way. He is given an opportunity to tell about the God of the universe and what does He do? Sleeps on the bottom of the boat. Over and over again Jonah showed that Resistance is Futile. But last week we saw Jonah exemplify that God is still in the business of rescuing, even if the Rescue is Fishy! Today we will see that while resisting God is futile and God’s ways of rescuing may be slightly abnormal, He still Favors Repentance. We will see this truth through a Recommissioning of God, a Repenting to God, and a Relenting God. We find Jonah on a beach off the Mediterranean Sea, still covered in big fish gastric juices. Having just been spewed out by a very large fish (2:10), God recommissions Jonah. God’s word comes to Jonah a second time (3:1). We see God show grace yet again, despite the prejudice of His prophet. God is giving Jonah a second chance. God is not in the business of a one and done relationship. He keeps coming back to the prophet over and over and over again, He is relentless in His pursuit of Jonah and thus His pursuit of the people of Nineveh. God informs Jonah, once again, to go to Nineveh and preach the message He will provide (3:2). And this time, Jonah wises up and goes to Nineveh (3:3). As much as we may easily point the finger at Jonah for trying to run from God, he at least learned his lesson (seemingly) after just one disobedient response. It is here we get a bit of a hint of why Jonah may have ran as well, he had an unpopular message to preach from God (3:4; Prov. 12:7; Gen. 19:23-29). So God was Recommissioning Jonah by giving him a second chance to proclaim severe judgment. But the question is how will the people of Nineveh respond to the Jewish prophet? As he comes into Nineveh, Jonah is preaching his unpopular message of repentance or judgment from God (3:4). Now one would expect the Ninevites to repel God and his prophet, but instead we see a miraculous response…Repenting to God (3:5). The people of Nineveh respond not just in word to their captive (remember Israel was enslaved by Assyria, which Nineveh was the capital city of) preaching against them but in action (3:5). They put on sackcloth and ashes and it was trans-social economic in extent as well. We find in verses 6-9 that everyone from the king to cattle are repenting. However, it is the king of Nineveh which gives us an example to follow of true repentance. First, he is humbled (3:6). The king takes himself off the throne, removes his royal clothing, puts on mourners clothing, and sits in ashes. All of these actions symbolize the humble heart that recognizes its own sin (James 4:6-10). Secondly, the king proclaims repentance to others (3:7-8). He is distressed and humbled so much about his sin before God, not one area of his life goes unaffected, he is preaching repentance, bearing fruit in repentance, and showing repentance in his actions (Luke 3:3, 7-14). Finally, the king hopes in God’s goodness (3:9). The king recognizes that God has every right and ability to utterly destroy him and Nineveh from off the face of the earth, but that there is a change God in His goodness and grace may relent from His judgment. So the Ninevites and their King all show Repentance toward God. But the question remains…what will God do? It is in the very last verse of chapter 3 of Jonah that we see the Relenting of God. Here one sees God favor repentance and respond by relenting of His impending destruction of Nineveh. The Ninevites repented from their evil and God listened (Psalm 66:18-19). God reviewed the repentance and hearts of those in Nineveh and relented of His judgment. What God does here is give grace. Does this mean God does not follow through on His word? Is God not faithful to what He told Jonah? “Nineveh shall be overthrown”. Was that not God’s message for Jonah? Then how is Nineveh still permitted to remain? This dilemma is solved when investigating what God means by saying “overthrown”. Overthrown could mean destroyed or judged (which is how we have been dealing with it this entire time). But the word has an alternate meaning as well. “To overthrow” could mean that Nineveh would repent and turn from their sins to God. So God did overthrow Nineveh, but it happened to overthrowing their hearts, minds, and lives to see and appreciate His character and nature, shown through His grace (Luke 15:18-24). So we see that God is a God of second chances and He offered Jonah a second chance Recommissioning him. But Jonah was recommissioned for the purpose to see Nineveh Repenting to God. And it was in this recommissioning and repenting that we see God Relenting of judgment. If we are honest we know that God has given us all numerous “second chances” and is constantly gracious and patient with us. All He asks of us is to repent of our sin and turn to Him. But truth be told our repenting and God’s recommissioning of us would never come without His relenting of judgment toward us. But that relenting came at a great cost to God Himself, when He commissioned His one and only Son, Jesus Christ, to come and take our sin and shame upon His body on the cross of Calvary (2 Cor. 5:21; 1 Pet. 2:24). It is only through the life, death, burial, and resurrection of Jesus Christ that you, I, or anyone can be recommissioned by God and that comes only through our repentance of our sins and recognition of Jesus Christ as our personal Lord and Savior. Jonah shows us that Repentance is Favored, have you repented of your sins and trusted Jesus Christ as your Lord and Savior? If not, don’t wait any longer. We are not promised tomorrow. In case you missed the beginning parts of this series you can find part 1: Resistance is Futile and part 2: Rescue is Fishy by following the links. Thanks for reading and stay tuned for the fourth and final part of Jonah’s story next week.